Bennet Winch make their bags and luggage in the UK and their products stand out as being a little different in design while being supremely practical. 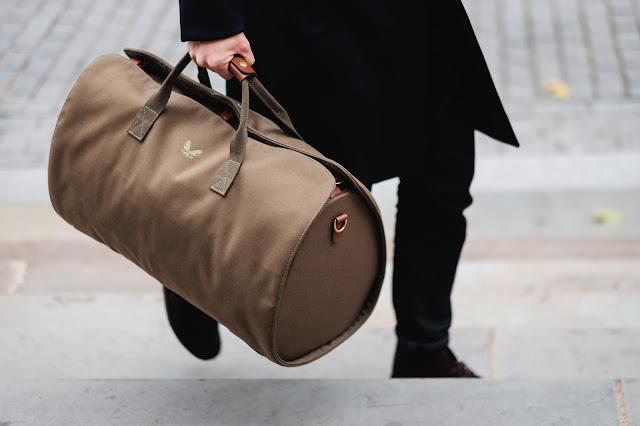 The S.C (Suit Carrier) Holdall is a combined bag and suit carrier, something that will appeal to anyone wanting to carry a suit, jacket or tailored trousers uncrushed for a weekend away. Each part can be used separately. 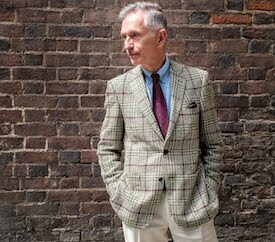 The suit carrier is made from waterproof canvas, so protects the lightweight twill bag when wrapped around it (see video below). Developed last year in collaboration with Simon Crompton of Permanent Style, it's sold extremely well and no doubt its good looks and functional design have made it a success. It comes in olive or black. See Bennett Winch. Unsponsored post. While I usually try to see products before featuring them, in this case I haven't seen this item. Absolutely brilliant - and stylish too!